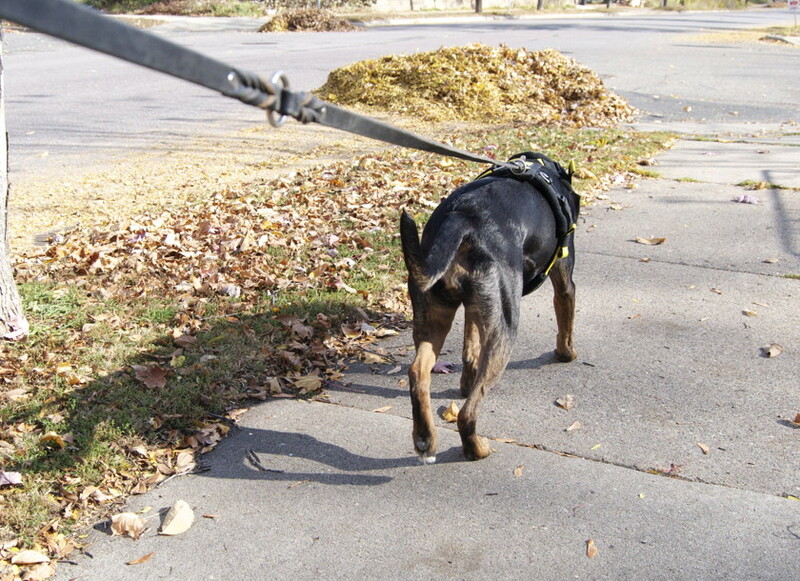 Maisy’s doing great, just about 5 weeks out from her surgery and allowed to do some pulling on leash as long as she isn’t “explosive.” We’re still doing multiple relatively short walks a day, up to about 20 minutes at this point and a number of strengthening exercise as well as cavalettis. Happy to be unexplosively pulling. She’s a little tight in her hamstrings yet, but otherwise has very good flexibility and range of motion in the leg. Just need to continue to build up strength, normal gaiting, and endurance as we get closer to getting her back in front of the scooter (or skis, depending on when we get snow this year).